Here's how 4 women handled a very tricky situation. "Initially, I wore the ring for a couple of days to see if it would grow on me, but it was 100 percent not my style. A few days after my fiancé proposed, we were talking and I told him that if we were going to have a relationship that worked and would last, we'd need to be honest with each other about everything—including the awkward things. I told him very gently and directly that the ring wasn't right. 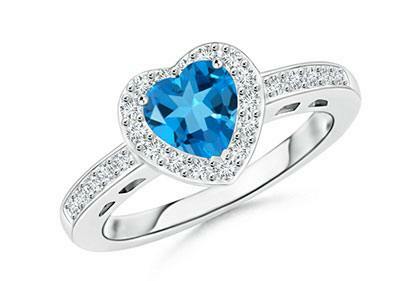 It was a heart-shaped blue topaz stone with diamonds around it. I explained that I wanted a more classic shape and not a colored stone. He was super receptive and admitted that he knew it wasn’t right but the sales person was super pushy and he was nervous. 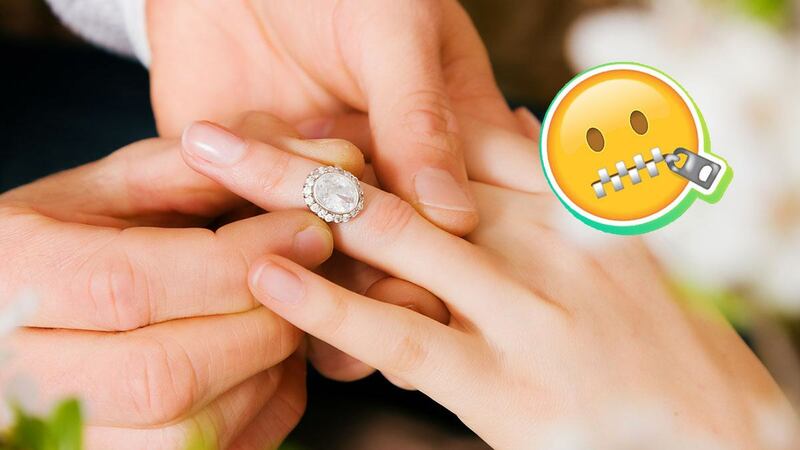 We started to shop for something different, but my grandmother knew about the situation and actually passed down her engagement ring because she was so proud of how I handled the situation!" "When I first saw the ring, I was really surprised. The whole proposal was just indescribable and truthfully something I always dreamed about. My husband knew how important my family is to me and had them surprise me later that night at a dinner. It wasn't until the next day that I realized the ring was all off—I ended up hating it based on the size and cut of the diamond. I kept looking at the ring and was so unhappy with the whole look, but I didn’t want to tell my husband because I thought it would be cruel. But I kept looking at it… and looking at it… and I just couldn't look at a ring that made me so unhappy every day when it means so much to me. Marriage is hard and to start off an engagement like that is even worse. I told him that I loved the ring but it just wasn't my personality and it will be something I wear for the rest of my life. I wanted it to suit me—to suit us. Surprisingly, he was very responsive and came with me to the jeweler to see what they could do… that is when I found out it was a factory-made synthetic diamond! We couldn't resell it to any jeweler because they kept saying it had no inherent value, which was so frustrating. My husband really didn't know the difference and felt horrible afterwards. But in the end, he let me pick the exact ring that I wanted and I've been so happy ever since. I now have a beautiful ring that that I've been rocking for five years! We just celebrated our anniversary last month and I couldn't be happier with him." 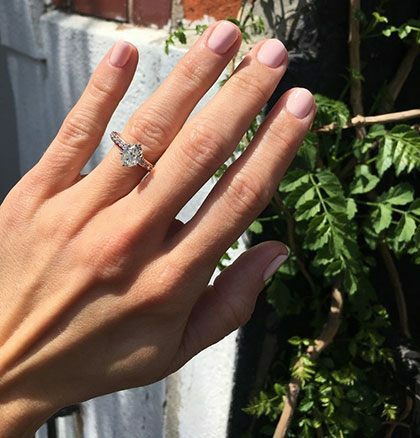 "I had been ogling engagement rings in store windows when I was dreaming of getting engaged, and they all were solitaires of one carat or larger. 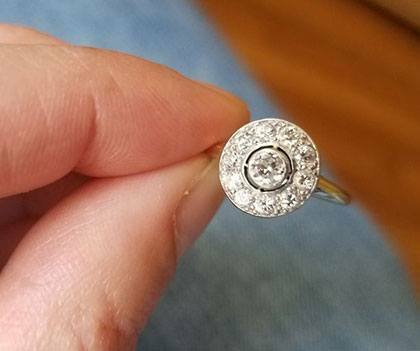 When my husband's mother knew we were serious about each other after four years of dating, she called me to ask if I would consider a family heirloom. I was honored, but terrified. What if it was ugly and not my style? I would have had a really hard time telling my mother-in-law 'no' because I hate to hurt anyone's feelings. She showed me three rings, and of the three—two of which really weren't my style—I chose my engagement ring, which belonged to my husband's great aunt Peg. 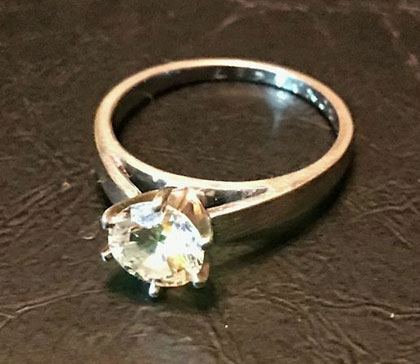 I was disappointed that the center diamond on my ring wasn't larger and that the appearance of the ring was circular and flat, as opposed to one sparkly diamond standing up on prongs. I had always envisioned a big round-cut center stone, grabbing attention in a platinum band. Instead, I had a .30 center stone in a rose-gold band. My husband is two years younger than me, and told me that once we were more established and older, I could upgrade if I wanted to. We were saving a lot of money by not buying the ring. But, over time, I truly fell in love with my ring. I've long been fascinated by the Victorian time period, so when I learned my ring was from 1903, that was the icing on the cake. I feel close to my mother-in-law knowing that she wanted me to have it, and not many people get to say their ring is a family heirloom. I thought one day I would want to upgrade to a larger ring, but I wouldn't want to alter the history of the stone, which is such a unique and beautiful design. Also, this ring is the one he proposed to me with, and it symbolizes our ten years together. 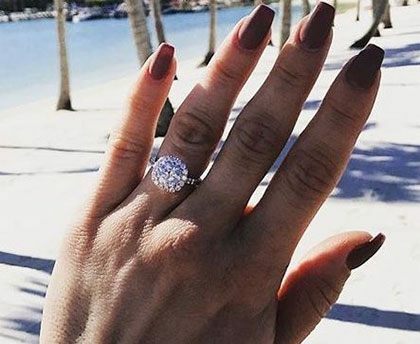 I could have asked for a bigger ring, but I'd so much rather spend that money on a family vacation making memories." "In 1990, when I was 28 years old, shortly after my late husband proposed to me, he gave me an awful ring—actually a wedding ring set. 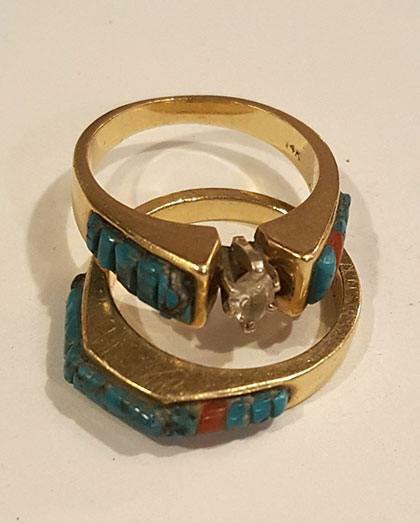 It was yellow gold with a small, cloudy marquis diamond in the center and turquoise pieces down both sides—plus one bonus piece of red coral. He bought it off a friend in a motorcycle club who needed the money. I almost immediately told him that I was so sorry, but there was no way I was wearing the rings. I didn't think I was that person, but nope, not happening. 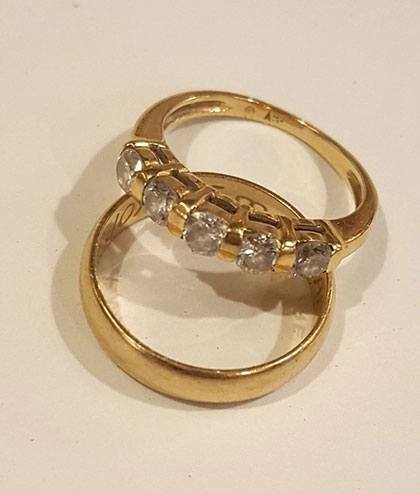 We went to the jewelry store together and he bought me a new ring—a yellow gold band with five small diamonds, and a plain gold band to wear with it. He was perfectly fine with getting new rings and I think realized it wasn’t a good choice for me. The whole experience was funny more than anything else. He died of cancer in 1994—I still have both ring sets. I do not look at the rings often—I remarried in 2001. When I do come across the original set with the turquoise and the red coral inlay, I always smile and wonder, 'What was he thinking?' while at the same time answering my own question. He was a great guy who was so focused on helping his friend that he thought it would translate into me wanting to wear the original rings. The diamond band I wore when we got married was about us, and that makes me smile, too. I was eight weeks pregnant with our daughter when he died, and one day I will give her the diamond band."